When hosting Chinese businessmen, it is important to remember that your visitors expect both fruitful business interactions and an enjoyable touring experience. Here at GOLD, we have extensive experience in hosting businessmen from China and we know how to integrate tourism into the business trip while handling every last detail, both in terms of business and in terms of hospitality. Our attention to details shows the Chinese guests both professionalism and involvement – two values that are very important to Chinese visitors and therefore to the success of the business venture. Businessmen who come from China to Israel are interested in splitting their time here between two main activities – touring and business. In most cases, Chinese businessmen want to handle their business commitments as quickly as possible in order to spend time enjoying the beauty of Israel. Hosting businessmen from China requires integration of tourist activities into the business schedule in order to offer some down time between meetings and professional tours that were planned ahead of time. When we at GOLD begin to plan a touring schedule for businessmen, we ask to see their business schedule first, in order to integrate all of the necessary tourist services when combining the two. For example: short tours between meetings or half-day tours after morning meetings. 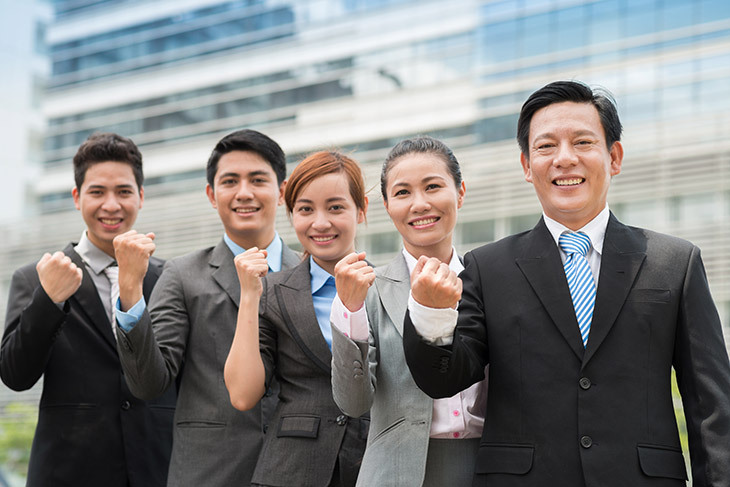 In the event that time limitations do not allow full tour days on weekends, we suggest to split up packed meeting days and conduct the tours in a way that fits the schedule of the Chinese businessmen. Here at GOLD we are prepared for any changes that may arise during the businessmen’s stay here in Israel. In many cases, Chinese businessmen will ask to make changes in their predetermined schedule, for example change a meeting time, replace a restaurant or even change a scheduled tour-day for a different area in Israel. We understand that when Chinese businessmen come to Israel, their schedule is very dynamic and therefore we are flexible and prepared to handle any change and make sure to provide them with an unforgettable hospitality experience. Even before your Chinese guests arrive in Israel, the GOLD team is available to communicate with the businessmen in fluent Chinese. Sometimes, the hosting company does not have the time necessary to set up the schedules for the Chinese visitors. At this stage we communicate with the businessmen from China in order to construct a schedule that best fits their needs. We are always sure to consult with the businessmen from China regarding meetings and tourist destinations that they are interested in seeing during their visit. It is very important for us to create a perfect hospitality experience to complement the business aspect of their visit. Tourism and business for businessmen from China go hand in hand. All of the business and tourism services at GOLD are personally tailored to the hosting experience expected by the businessmen from China. Our services for hosting Chinese businessmen include: accommodation and hosting services perfectly tailored to Chinese guests, translation services to and from Chinese, transportation and VIP luxury vehicles suitable for Chinese businessmen, tours and experiences scheduled perfectly to fit into the limited time they have in Israel, business guides who speak Chinese, and business services that include: rental and organization of conference rooms according to the Chinese business practices, administrative services in Chinese, arranging meetings with Israeli companies, translation of professional materials from and to Chinese and legal services for businessmen from China.